Have a question for Shilla Stay Mapo? "Convenient location near airport bus stop about 10minutes." "Nice location with friendly staff, highly recommend"
"Had a great 6 night stay there." Experience all Seoul has to offer during your visit to the Shilla Stay Mapo. 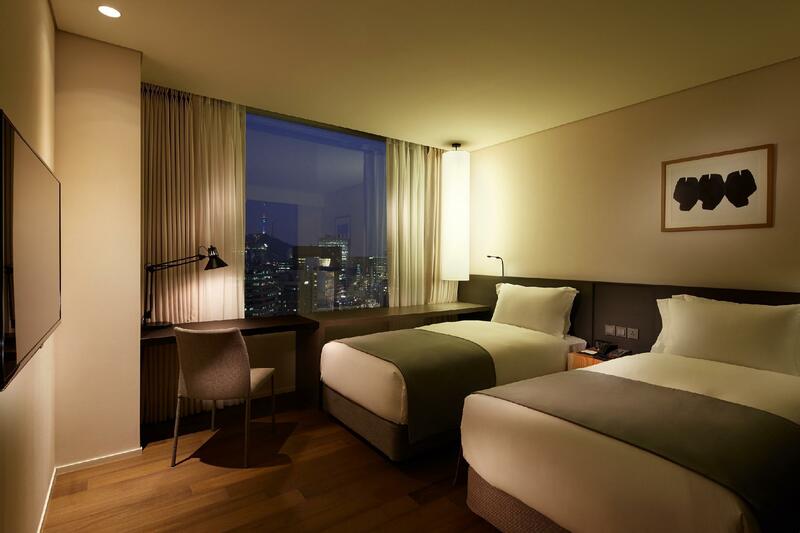 The rooms here overlook the city for picturesque views of Seoul. 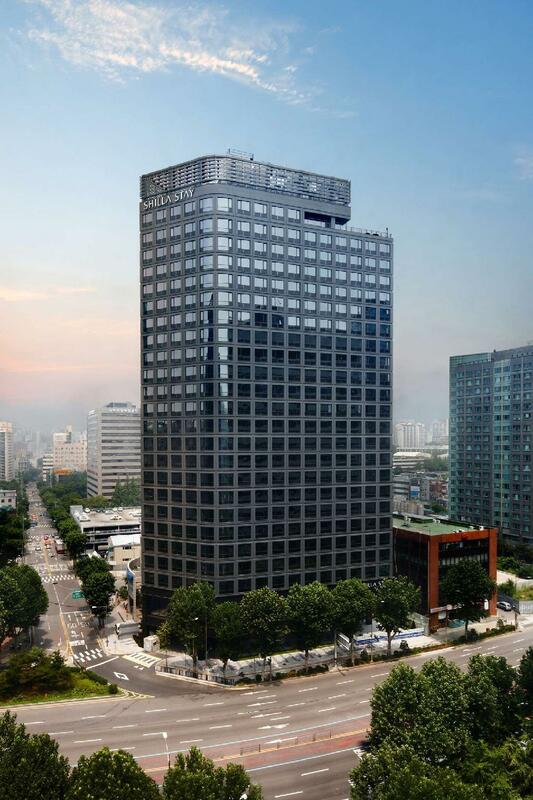 This property is near Hyochang Stadium, Kimunyoung Cosmethic, Ewha Womenâ€™s University Fashion Street, Seogang University, and Princess Diary Ewha Women's University. It has numerous convenient features, such as a currency exchange, a laundromat, as well as safety deposit boxes. The Shilla Stay Mapo has air conditioning, so your stay will be comfortable. With a bar and restaurants on the property, it features a selection of dining and snacking options. From a concierge to laundry services, the Shilla Stay Mapo has a number of useful services to ensure that you get the most out of your time in Seoul. There's free Wi-Fi available in all rooms, as well as Wi-Fi in common areas, so you don't have to spend money on a local sim card while on vacation. The property provides around-the-clock front desk services, ensuring that there is always someone on call to answer any questions. Gongdeok Subway Station is 220 m away and Mapo Subway Station is 830 m away. The nearest airports are Gimpo Airport (GMP) and Seoul Incheon International Airport, which are situated 13.3 km and 45.5 km away. This property offers check-in from 02:00 PM and check-out until 12:00 PM. "Staff very friendly and able to speak English." Very accessible by the train (Dong Geok Station) and it's walking distance from the train station. Staff very friendly and able to speak English. 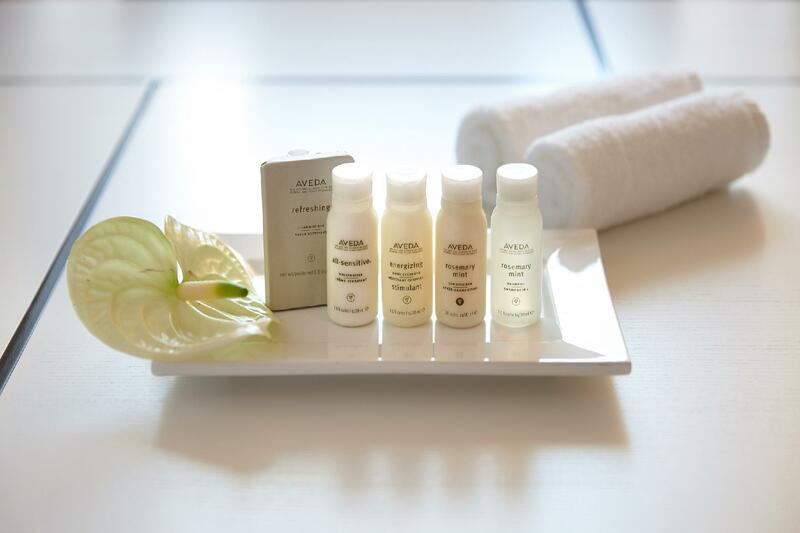 The hotel is eco-friendly, so you can decide whether you want the staff to wash your bedsheets or just do up your bed nicely. This is including the towels in your bathroom. Was a bit disappointed at first as the Standard Room Photos during the booking page, showed that their was a bathtub but in fact, it's only a shower. However, overall the room was good. The gym was good too. Laundry service is provide at a cost. Around the hotel, there are a lot of convenience stores, small cafes and restaurants. Worth the stay. Hope to come back here again. My room had a really strange smell. I didn't know where it was coming from and a concierge told me they were fully booked so I was stuck in my room. Other than that this hotel was a great place to stay. It was near a lot of restaurants and the lines 5 and 6 as well as near many bus stations including the airport limousine bus stop. Also, taking a taxi going to and from pretty much anywhere to and from this hotel was pretty inexpensive which a perk for me also. They also do currency exchange here which is great. You get a little less back than if you go to a currency exchange store but it's extremely convenient especially if you're like me and wait until the last minute to exchange. This would have been a perfect stay other than my interaction with the desk clerk on check out (check in was awesome). I wound up after my stay with more than I could pack in my bag, so I ask if they had a box. She answered rudely and curtly, "no we would not have that." As if that would have been a perfectly normal assumption and I was positively stupid for asking. I was instructed to check with the convenience store. They of course had no large boxes. I took everything by paper bag to the airport where I found a service to box it up, which was excellent. Overall I would recommend the property, just don't ask for -- a box. The café was also closed the only day I chose to use it at noon. Room was clean, nice and the shower was excellent. Unfortunately,we had very bad experience in the hotel, my company " yellow chicken " doll was suddenly disappear in our room.In my past ten years, my yellow chicken doll goes with me every time I travel to anywhere,it's like my little friend,my ten years' memory, and it's my first gift from my boyfriend, and now boyfriend becomes my husband, it's bear some many happiest and tear.In the period of my stay,I place my chicken doll on the hotel bed every day I go out,I never bring it go outside with me. During the checkout day morning, I found that my chicken doll was disappeared,I immediately call front desk for help,the staff asked me to wait a moment and they will try to ask room cleaning staff to find out what is the reason,but after 30mins still no feedback from them,and then I made a call again,they and me room cleaning staffs never seen and take my chicken doll.I feel so weird that I never take my chicken doll outside,but suddenly disappeared.How can it be? Close to subway. So worth the money! The woman staff I don't remember her name... Maybe Ms. Soffie was so kindly for us. We are not business stay but location was also good for us. Only 2things we felt uncomfortable were clean staff and man staff. 1. We forgot to push the cleaning botten and asked for staff to clean our room. The man staff was unkindly asked us what time would we come back. 2. The clean staff cleaned up our room but bed seats were not new one. There was still stains that my buddy put on it yesterday. Nice hotel but clean up was not enough for us. convenient location near airport bus stop about 10minutes. staff were pleasant, convenience store just at the hotel ground level, near to gongdoek station, 5 minutes walk to an office buidling with awesome chinese/korean food restaurant in its basement. I have stayed at the other branches of Shilla Stay, so I had a trust. The room was exceptionally clean and the staff was very professional and kind. The location was perfect as I had a meeting in Hapjeong area. Only had a very brief breakfast but the buffet looked very decent. If you're looking for somewhere along with 6 line or around Hongdae/Hapjeong area, I highly reccommend Shilla Stay Mapo. Convenient and excellent location, 3 mins walk from Gongdeo Station exit 1, 50mins REX directly from airport. 7-11 right at door and Emart nearby exit 7. Staffs are friendly and helpful. The room is cozy and clean but no fan or a/c during changing season, felt stuffy even keeps the window opened at all time. Toiletries won't refill unless you ask EVERYDAY. I fully understand and support “green environmental" however, I'd like them refilled when its finished. Other than that, strongly recommend. Overall, I was satisfied with the hotel and its location. The room was clean but on the smaller side which I didn't mind at all. The only issue I had was that the cooling function of the air conditioning unit did not work and it was 26-27 degrees in the room. I asked the reception about it and it seems like they turn off the cooling function during Fall and Winter. They brought in a fan to cool down the room. This should definitely be advertised on their website as I see it quite unacceptable for a 4-star hotel to do this; I would rather be able to decide if my room needs cooling or heating rather than the hotel deciding that. First, upon check in, the room we were given had no bathtub when it was clearly shown in the pictures. Had to request for a change of rooms. Second, there was no air conditioning throughout our stay. Reason given by front desk was that the whole hotel air conditioning was switched off due to the changing season. However, the temperature outside was 16 degrees whereas inside the room it was 27. The room was hot and stuffy but they said they could not simply switch on the air con for one room only. They offered a portable air con which was not cold at all, and took up a lot of the tiny space we had, but at least it provided some ventilation. Looking at the reviews it seems like there had been problems with the air conditioning since May 2018. Thirdly, we asked for an umbrella as it was raining heavily outside but they did not have any as the staff claimed that everyone else had borrowed it before us. For a hotel this big shouldn’t they have enough for all guests? Fourthly, bath robes were not changed throughout our stay and strangely on the last night, the housekeeping staff decided to take one away, leaving just one used bathrobe for 2 people. It was also unpleasant that they decided on paper cups for guests. Lastly, we asked if we could borrow their vacuum just for 5 minutes so that we could put our clothes into a vacuum bag but our request was denied. Not sure if it was an unreasonable request on our part? Surely for a 4 star hotel they can do better than this. Many reviews stated that the hotel was at a good location. Even though you can reach the hotel within few steps from exit 1 of Gongdeok station, bear in mind that there is quite a distance between the exit and the AREX platform. It was also troublesome to get to the main attractions of Seoul as you have to transfer trains most of the time. Definitely would not return. Clean and quiet rooms. Comfy bed. Great shower! Buffet style restaurant good food but too pricy for me. I used my in-room electric kettle for coffee and tea and then went out to a bakery. Just my personal preference, like a continental breakfast. I like to venture out for other meals with table/menu service. Courteous and helpful staff. Easy access to public transportation and airport via train and small street market for foodies. Wish their staffs smile little bit more. Although everything was processed in professional manner, I felt that they were a bit stiff without smile when I was greeted. Very convenient location and tidy facilities. The hotel is located very near to the metro Gongdeok. Easily accessible. The check in and out were smooth. Nothing to shout about. The room design was really a nice touch and sleek modern design. I was not able to try their facilities but its located at the top floor, it would have been really nice. But it's price is on the high end and my stay did not include breakfast. The breakfast add on would have been USD20.